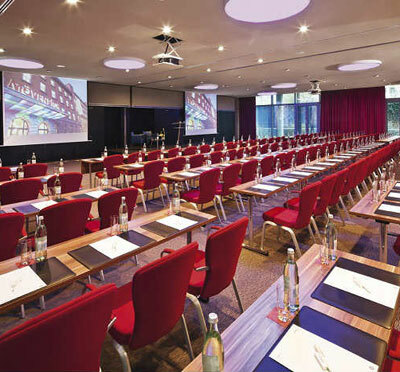 Mövenpick Hotel Berlin is a 4-star hotel in the city center of Berlin. A historic hotel that has been modernized to meet today's guests. It is situated only 25 minutes from Berlin’s Tegel Airport, 100 meters from the Anhalter Bahnhof S-Bahn train station and near Potsdamer Platz. Take a comfortable rest at any of the 243 hotel rooms including three beautiful suites with stunning Berlin views. The restaurant is well-known for its good food and glass roof. The Mövenpick Restaurant offers meals that are the result of a magic fusion of Swiss and regional cuisine using local and seasonal ingredients. 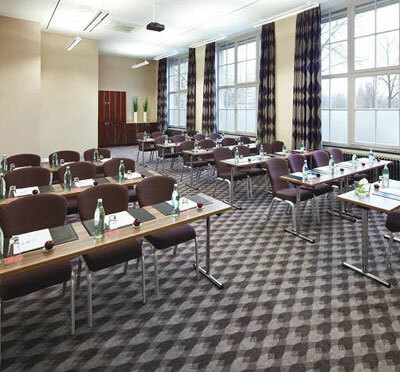 For meetings and conference there are 12 meeting rooms including the historic Siemenssaal. All of them have daylight and are modernly equipped. The largest room accommodates up to 300 guests. There is plenty of room for all kind of meetings and conferences. After a day of hard work you can visit the gym and sauna area Liquidrom Spa. Here you can use all gym equipment to stay in shape, or just relax in the warm saltwater pool or book a calming massage. The Liquidrom Spa offers special discounts for our hotel guests. The Liquidrom Spa offers special discounts for all hotel guests.